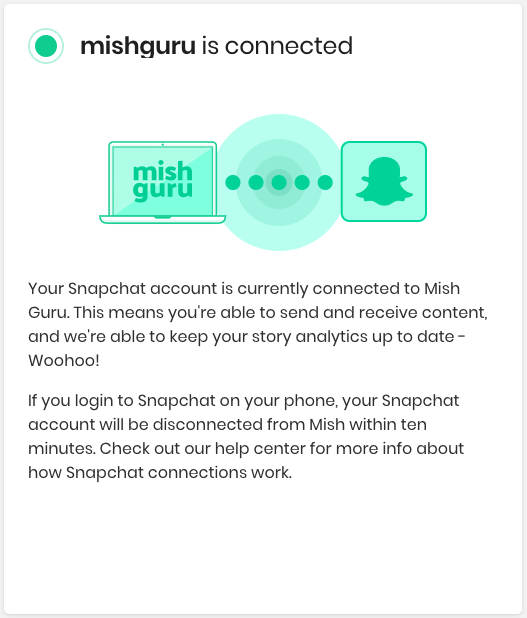 You can check the connection status of your Snapchat or Instagram account to Mish Guru and reconnect yourself whenever you want/need—hooray! This is all accessible from your dashboard on the Accounts page. Click there, and select the account you wish to check on. If your account is connected, you will see a green indicator and a note stating that your account is connected. If your account is disconnected, you will see a red indicator with a note that your account is disconnected. To reconnect, simply click the green RECONNECT NOW button. Please note that it could take up to 10 minutes after becoming disconnected for that status to be reflected on the Account Status page. If your Instagram account is not connected, it could be due to the password for your Instagram account being changed, so remember to check on that if you see the big red! 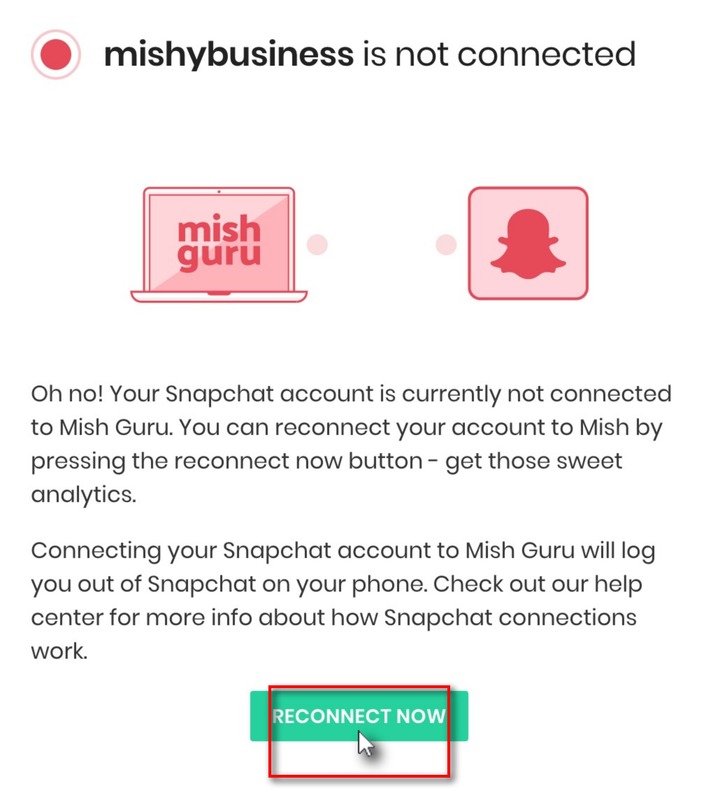 Finally, the connection process itself can take a few minutes—patience is a virtue, dear Mishlings.